It is a lot of work to plan a SQL Saturday, and also a lot of fun. 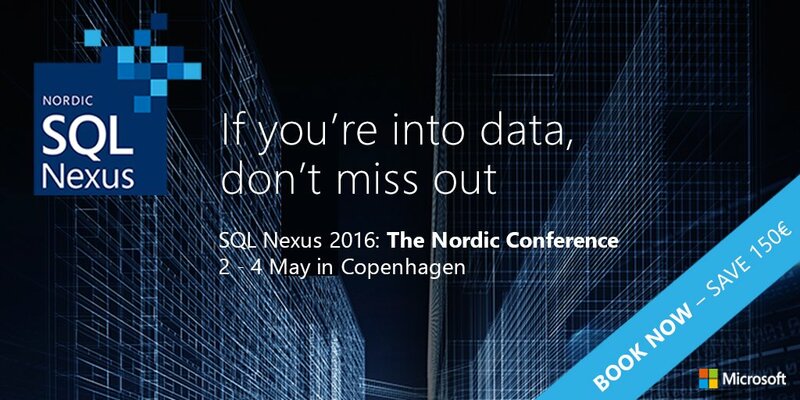 The third edition of SQL Saturday in Denmark will be no exception. The team is already putting a lot of effort in finding and contacting sponsors, which luckily are often more than willing to contribute to the event. The first hurdle of planning the preconference is now over and we are really proud to announce the 2 days of preconference for the event. In my opinion we have found the right mix of development, DBA and Business Intelligence sessions to offer for our preconference. Dandy Weyn (B|T) : Self-Service BI – Power BI and many others … game on! That will make it a very tough choice to decide which preconference to attend. On the other hand the price of these being so low you probably don’t even want to choose but attend both days. Be sure to book your ticket as seating is limited. For the conference itself we already have more than 97 sessions submitted by 43 speakers from 13 countries making it a challenging yet interesting task to have to pick and plan sessions. Luckily we managed to get a new venue this year so we have room for many attendees.